U.S. gold prices topped $1,250 an ounce on Tuesday, capping an August rally of 5.6 percent and registering their biggest monthly gain since April. Precious metals were mixed as group. Silver hit its highest price since mid-May on Tuesday, soaring 7.9 percent in August. Palladium edged slightly higher on Tuesday and for the month, while platinum lost ground for both, falling 3.4 percent in August. In other markets, crude oil tumbled 3.7 percent for the day and nearly 9 percent for the month while U.S. stocks were mostly unchanged on Tuesday but plummeted in August with the major indexes falling between 4.3 and 6.3 percent. Gold for December delivery gained $11.10, or 0.9 percent, to $1,250.30 an ounce. It ranged from $1,233.50 to $1,251.00. Gold gained $66.40 in August following a 5.0 percent loss in July. September silver rose 35.8 cents, or 1.9 percent, to $19.432 an ounce. It ranged between $18.860 and $19.445. Silver soared $1.43 in August after falling 3.8 percent in July. Platinum for October delivery fell $9.60, or 0.6 percent, to end at $1,523.50 an ounce. It ranged from $1,509.00 to $1,532.30. Platinum declined $53.30 in August after rising 2.6 percent in July. Palladium for December delivery gained $1.75, or 0.3 percent, to $501.85 an ounce. It ranged between $488.00 and $505.00. Palladium edged up $1.85, or 0.4 percent, in August after jumping 12.5 percent in July. "Gold is the primary beneficiary of this general angst over the economy," Matthew Zeman, a metal trader at LaSalle Futures Group in Chicago, said and was quoted on Bloomberg. "The flight-to-safety bid is back on, and Treasury yields are a joke now. That’s a good setup for gold to go higher." "The gold market has seen very strong alternative asset demand throughout the month of August. There is just a great level of uncertainty surrounding the economy going forward, and gold is continuing its role as the currency of choice," Bill O’Neill, partner at New Jersey-based commodities firm LOGIC Advisors, said and was quoted on Reuters. "Uniformly bullish prognostications remain as abundant as a fall wheat harvest. Current ‘we will see’ targets are clustered around $1,400 and $1,500 per ounce with the $1,280-$1,320 zone not even worth mentioning as a waypoint or rest stop," noted Jon Nadler, senior analyst at Kitco Metals, Inc. " A few technicians might hold a — diverging opinion on the matter, however." "One of Kitco’s ‘classics’ — chartist Merv Burak — notes in his weekly take on matters technical (issued yesterday) that gold is exhibiting a negative divergence. Basically, he argues, gold’s ascent to new highs in June was not corroborated by corresponding highs in momentum. Momentum has in fact waned after having peaked almost a year ago when the $1226.00 pinnacle was etched into the record books in gold." 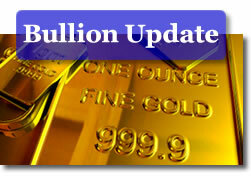 In PM London bullion, the benchmark gold price was fixed to $1,246.00 an ounce, rising $11.00 from the PM price on Monday. Silver lost 16 cents to $18.870 an ounce. Platinum settled at $1,515.00 an ounce, falling $15.00. Palladium declined $9.00 to $494.00 an ounce. New York crude oil for October delivery plunged $2.78 to $71.92 a barrel. Prices plummeted $7.03, or 8.9 percent, in August after gaining 4.4 percent in July. "We have this hurricane coming, so it’s a safe assumption that demand for product could be lower," Stephen Schork, president of consultant Schork Group Inc. in Villanova, Pennsylvania, said and was quoted on Bloomberg. "We’re going into a time of weak demand, and you do tend to see seasonal weakness in the oil market at the end of the third quarter." The national average for regular unleaded gasoline fell one-tenth of a cent to $2.677 a gallon, according to AAA fuel data. The price is 2.5 cents lower than a week ago, 6 cents down from a month back, but 6.7 cents higher than the price from a year ago. U.S. stocks were "little changed at the end of a choppy session Tuesday, closing out a lackluster August for the market as investors weighed meeting minutes from the Federal Reserve against upbeat economic reports," wrote Blake Ellis of CNNMoney.com. "Investors unfortunately keep looking to the Fed for help," Richard Sichel, who oversees $1.4 billion as chief investment officer at Philadelphia Trust Co, said and was quoted on Bloomberg. "The words were more guarded this time from the Fed. You want to be reminded that they’re there and will step in if they need to, that the Fed is trying to give a little extra direction to the economy and using money wisely." The Dow Jones industrial average rose 4.99 points, or 0.05 percent, to 10,014.72. The S&P 500 climbed 0.41 point, or 0.04 percent, to 1,049.33. The Nasdaq Composite declined 5.94 points, or 0.28 percent, to close at 2,114.03. For the month of August, the Dow retreated 4.31 percent, the S&P 500 fell 4.74 percent and the Nasdaq plummeted 6.24 percent. i see gold can pass $1,500.00. and silver at around $25.00 to $30.00.